This adjustable keyboard platform is a necessity in any word-processing office application. 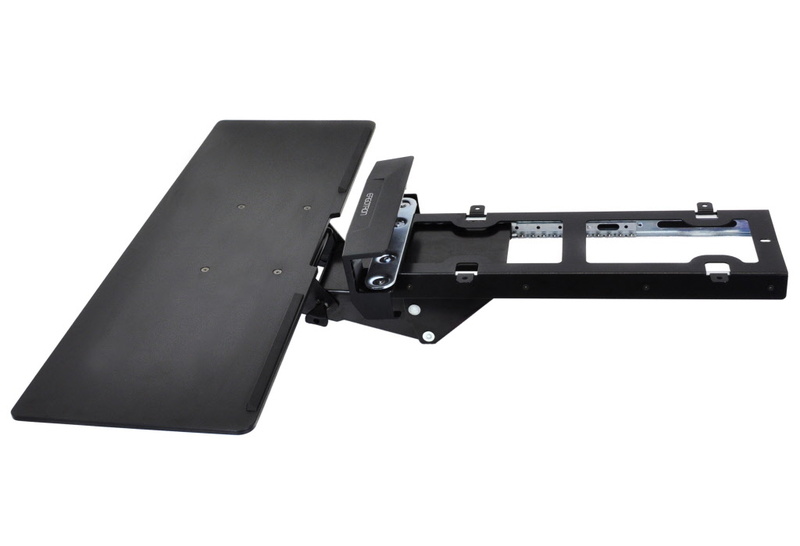 Match this accessory with a monitor stand or arm for a complete ergonomic desktop solution. Provides a full range of adjustment to accommodate a wide range of computer users. Stores the keyboard conveniently under the worksurface, where it can be pulled out whenever it’s needed.